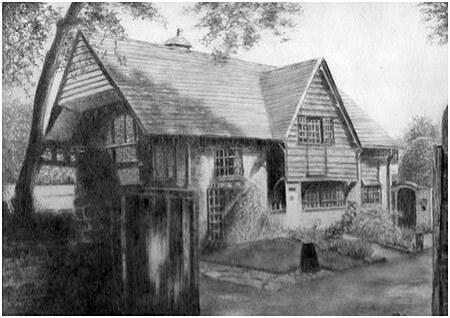 The detailed pencil drawings of Doreen Cross capture both the spirit and appearance of her subjects - whether human, animal, or architecture. 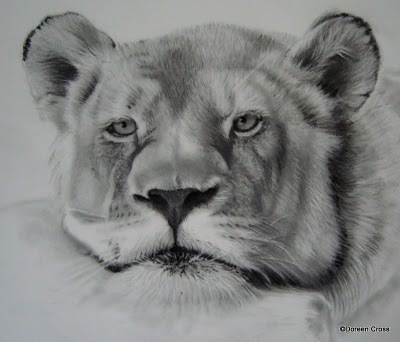 Created in a careful, realistic style, Doreen's pencil drawings are a striking reminder of just how powerful and emotive a pencil can be as a tool for creating fine art. What is your favorite medium to work in, and why? What is your favorite subject matter, and why? 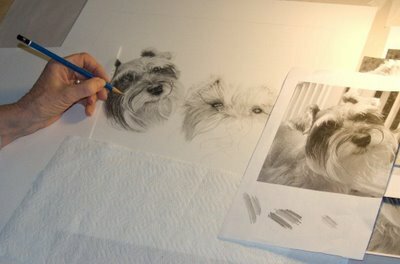 I love to draw animals - especially wild animals - because I love to give them character and bring them to life on paper. What size art do you typically create? 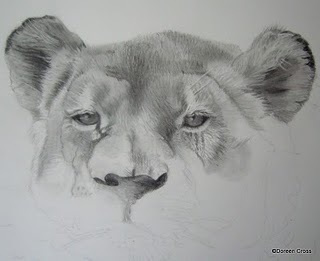 8 x 10" - 16 x 12"
Let's follow along with Doreen's steps as she creates a detailed pencil drawing of a lioness! Note the selective use of color in the grass! How long does it take you to create an 8" x 10" drawing? 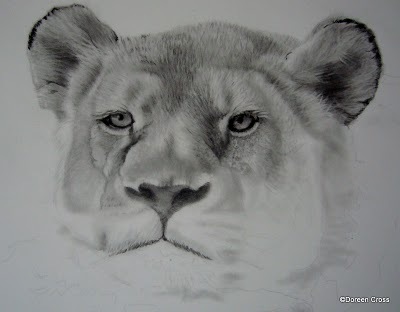 It can take 10 - 15 hours depending on the subject and how much detail. Sometimes it can take many more hours if there is a lot of detail. Who are some artists that you admire, and why? Practice lots...experiment, read books, watch videos, Google search techniques and art tools. 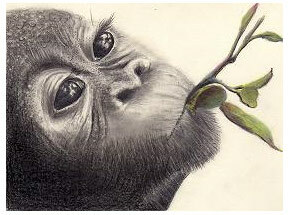 You can see more of Doreen's detailed pencil drawings on her website. She also keeps a blog where you can keep up to date on her works in progress! 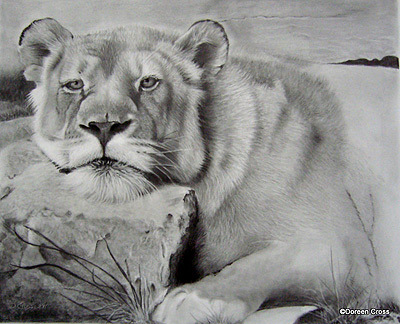 If you're interested in commissioning a pencil drawing from Doreen, send her a message! Learn more about making art based on nature. Get inspired by the workd of other Featured Artists!